Understand Houses Of Kundli Or Horoscope, free lesson of astrology on line on 12 houses of horoscope. When a horoscope is made then we find the 12 houses in it. These houses are also called "bhaav" of kundli. All the 12 houses are related with special segment of our life and in vedic astrology we study the houses and the relations between them to know about the life of any person. All the planets are present in 12 houses of horoscope. Zodiac signs are also present in every house. It is necessary to know something about houses of kundli. The first house shows the personality of person , it tells about the physical fitness, skin color, health, height, mental power, name, fame, etc. So to know about the related things it is necessary to study the first house of kundli/horoscope in-depth. The second house of kundli is known as the money house, profit house, family house. Ancestral property is also known by studying this house. Details about life partner family can also be predicted by studying this house. To know about savings, eyes, communication skill, nails, responsibilities etc also this house is studied. This house is also known as the house of valour, ability, power. Details related to younger brother and sister can also be known from this house. State just before death can also be predicted through this house. This is the house of happiness, luxury in life, worldly happiness. Property, vehicles, mother etc subject is also related with fourth house of kundli. So to know about happiness and grief in life we must study this house of kundli. The study of fifth house is very important because it is directly related with progeny/children/baby, study, knowledge. Tantra-Mantra success can also be predicted from this house. Success in speculation can also be predicted, whom to worship is also predicted from fifth house. The six house is also called house of enemy. Impacts of enemy in life, diseases, rog, problems can be predicted by studying this house of kundli. If we want to study about step mother, maternal uncle, then also this house is studied. Problems in life can also be predicted from here. This seventh house of horoscope is called partner house. Prediction related to married life, relation with partner, health of partner etc can be studied from this house. Partnership in business can also be studied from this house. We can also get knowledge about love life. This house is called the age house, health house. From this house we can know about death reason, death place etc. We can also know about accidents, venereal diseases/gupt rog, etc by studying this house in-depth. This house is called the destiny house, religious house, virtue house. Faith in religion, sudden benefits, lottery etc can be predicted by studying ninth house. How the luck will favor a person can be predicted from this house. This house is the house of working i.e. information related to work can be known from this house. This house also tells about the father, his age. nature of the person can also be known by some extent. This is the income place. We can know about the income source, profit etc from this house. Type of earning source can also be predicted, how smooth a person will earn can also be predicted. This house is called expense house. Type of expense, poverty etc can be predicted. Foreign tour can also be predicted, eye problems can also be studied, types of dreams, salvation after death can also be studied from twelth house. So here in this free lesson of astrology we have read about 12 houses, related segments of life with bhaav of horoscope. 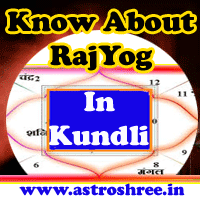 Hope this will help "astroshree.in" blog reader to understand kundli.